Modernize the existing ROSI infrastructure with a series of high-powered servers and refreshed code base to decrease cost and increase efficiency. Continued development of the Course Information System (CIS), including pilots with the John H. Daniels Faculty of Architecture, Landscape and Design, and the Faculty of Kinesiology & Physical Education. Targeted improvements to ROSI core modules, including the selection of a new Financial Aid and Awards module for U of T, improved tuition billing processes, and participation in Kuali Enrolment development. Continued rollout of web apps such as a student timetable builder, an exam invigilator application and a host of new features for ACORN. 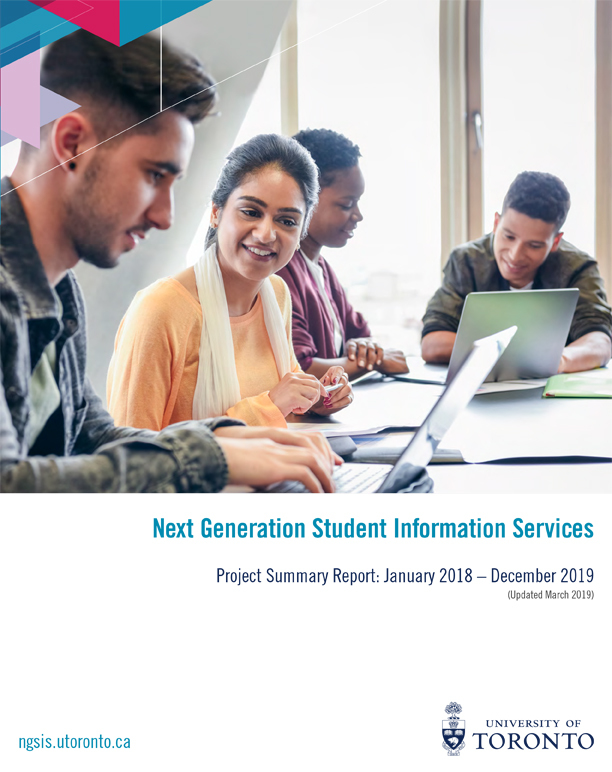 Expansion of Kuali Curriculum Management (CM) and the U of T Calendar product (Curriculum Publisher) for other large divisions at U of T.
Continued rollout of data and reporting tools related to retention, persistence and graduation of students in direct entry undergraduate programs. The ROSI Change Advisory Board (CAB) is a body that establishes priorities and directives for implementing ROSI enhancements.